$1,399.99 Seen a lower price? The C1 is a truly exceptional digital piano. 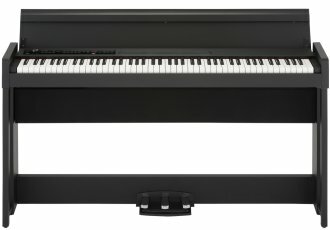 With KORG's unique history of musical instrument design and audio technology, the C1 offers levels of playability and versatility that will exceed the expectations of the most demanding pianist. From the very first note, the depth and clarity of sound that the C1 delivers from its compact, slim-line cabinet will astound both player and audience alike. 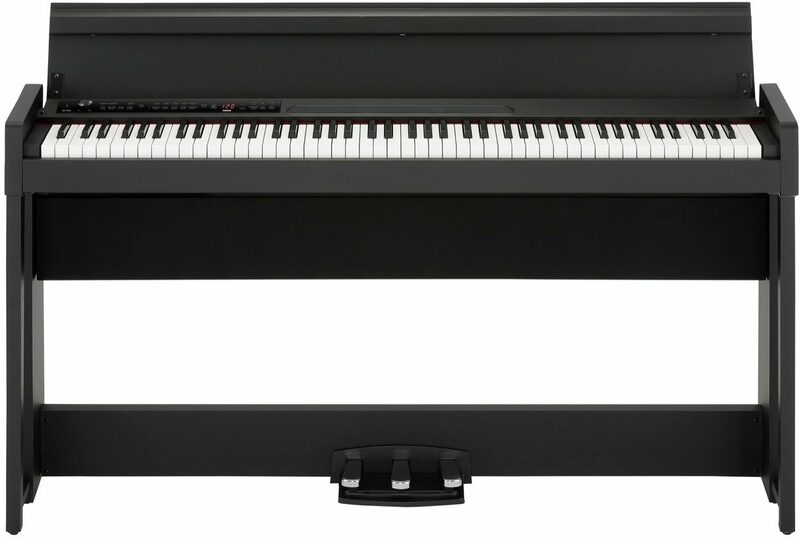 The precisely-engineered keyboard provides a feel and response that has been designed to help the student develop a sound playing technique while responding fully to the demands of the more advanced player. The C1 features the real weighted hammer action 3 (RH3) keyboard that accurately simulates the playing experience of a grand piano, with a heavier playing feel in the lower register that becomes lighter as you move up the keyboard. It is extremely responsive, even when notes are repeated quickly, while the performer's expressive dynamics are faithfully interpreted even in the most complex passages. Key touch control is also provided, with a choice of five levels of sensitivity (light, normal, heavy, stable, fixed) to specify how your playing dynamics are reflected by the sound produced. *: It is not available to change the sound per part. - Dimensions (W x D x H): 1346 mm x 347 mm x 770 mm/52.99" x 13.66" x 30.31"
Available until 11 PM (EST) today. Mention special code 1ZT-7RHQ when you call.